The town of Fontenay-le-Comte holds the prestigious award "Town of Art and History," counts among the "Most Beautiful Detours in France" and is the cradle of the philosophy of humanism. King François I nicknamed it the "fountain of beautiful minds." Around Place Belliard, you'll adore the arcaded houses that recall all the splendour of the town at the time of François I. The magnificent Quatre Tias fountain has become the emblem of the town. Topped with a triangular pediment and a basket-handle arch, the fountain is accessible at the bottom of a small stairway. The water flows through four pipes, an unusual feature, that gave it its name. A discovery tour illustrated by 42 heritage information panels leads you through the historic heart of Fontenay. From the district of the Illustres to the Faubourg des Loges, old Fontenay reveals its architectural gems from the Middle Ages. While strolling through the mediaeval streets, don't miss the wooden house of the rue des Loges. This half-timbered house is without doubt the oldest in Fontenay-le-Comte. You'll notice street names related to the guilds that used to work here: the Rue des Drapiers, the Rue des Tanneurs, the Rue des Orfèvres (goldsmiths)... Enjoy a guided tour to best appreciate all the historical and artistic riches of the town. 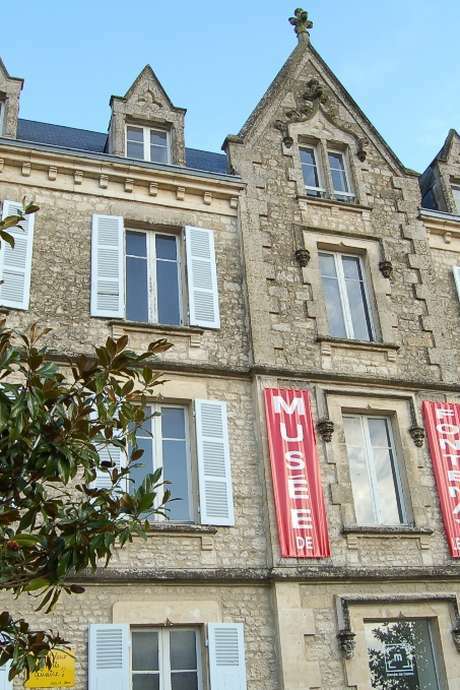 Housed in the former presbytery of Notre-Dame, the Fontenay Museum houses a rich collection of Gallo-Roman glassworks, probably one of the most extensive in France. On the first floor, are collected ethnological collections of Vendean furniture, costumes and headdresses. A gallery of Fine Arts exhibits paintings by 19th and 20th century artists. 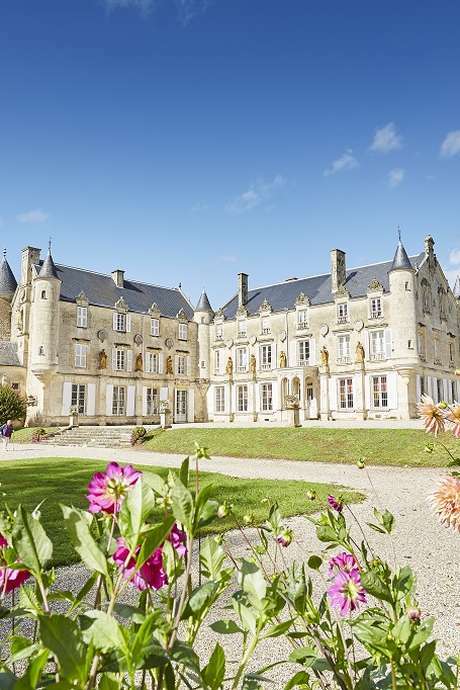 Located around the ruins of the old castle, Le Parc Baron overlooks the town of Fontenay-le-Comte. It is a very pleasant place to walk, with linden trees and cedars. There is also a mediaeval garden. It offers an ideal setting for a family picnic on a sunny day. Baron Park is home to Parcabout tree adventures, a leisure area where you can run and jump between trees. Children and adults alike can try scrambling up the nets, set several meters up in the air. An alternative to traditional tree climbing, requiring neither harness nor ropes. Built at the end of the 16th century for the poet Nicolas Rapin, Terre Neuve is a jewel of the French Renaissance. The large living room is adorned with decorative elements in the style of the famous Chateau de Chambord such as the golden suns,from the room of Louis XIV himself. A Renaissance fireplace displays symbols of the magic alchemical formula in the centre of its imposing mantle. The castle is also distinguished by its coffered ceilings with carved stones, characteristic of Renaissance architecture.